Today we headed out for our fourth dive on the Sea Rogue wreck with Blue Bay divers. There was a bit of swell so it was a little lumpy on the surface but barely any wind and no current at the site. I had promised myself the last time I dived this wreck on air I would never do that again because I was so incredibly narked, but alas I found myself at the wreck again with air tanks fastened to either side of me! The Sea Rogue for those of you who don’t know sits in about forty eight metres. Nick K. and I headed down the line pausing at thirty metres as planned to take the descent a bit slower this time and hopefully minimise narcosis. I also wanted to get my camera rig sorted and video lights positioned before becoming to narked. We continued down and I really wanted some footage of the inside of the wreck as the last time I tried to get it I was so narked I thought I was recording when I wasn’t, and only found out later when I got home I didn’t have the shot. I had my spare Mangrove video light in my pocket and had thought I might put it in the cabin and video the outside of the wreck with it lighting up the inside. However at this stage seven minutes had already past and with a bottom time of only fifteen minutes I just didn’t have the time. 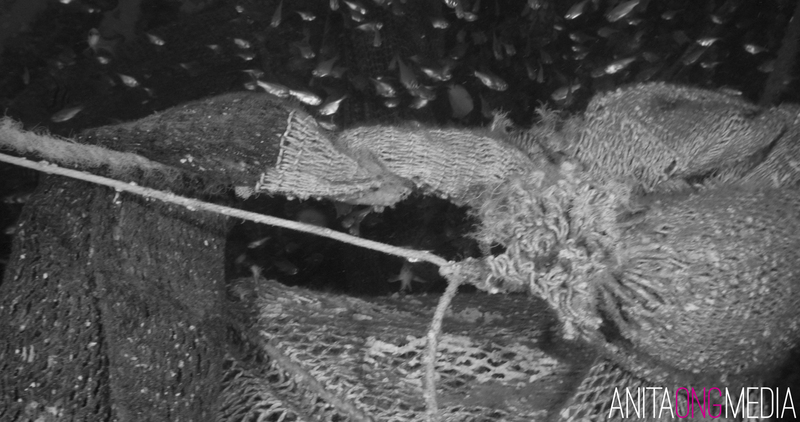 There was a Cod and three Jewfish circling under the nets. 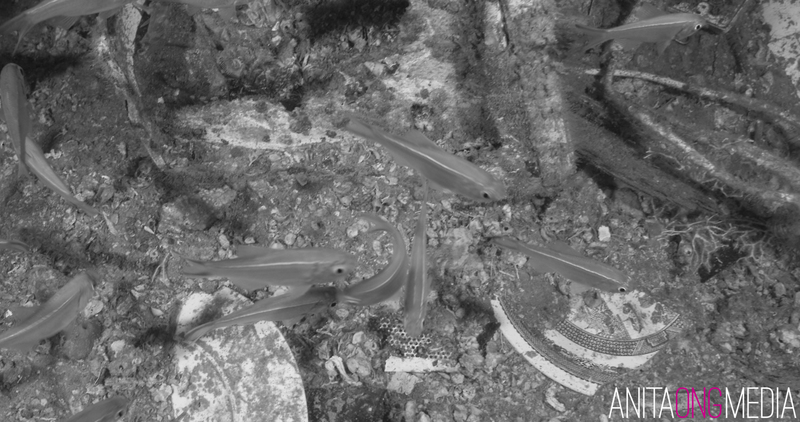 The Jewfish didn’t seem to want to give up their real estate for me so I got some nice video of them peering into the lens. 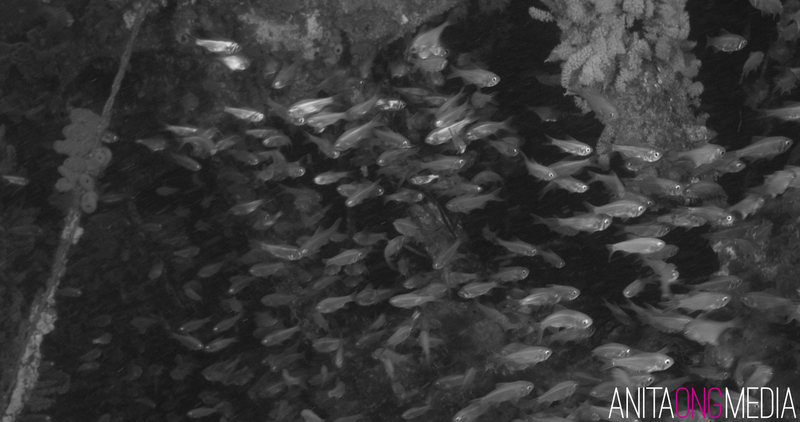 Thousands of tropical fish littered inside the wreck so it was hard to see through them all. I was surprised at how good I felt compared to last time and noted some switchboards and cables on the floor, a sink and some dinner plates with a nice blue pattern on them laying inside the door. 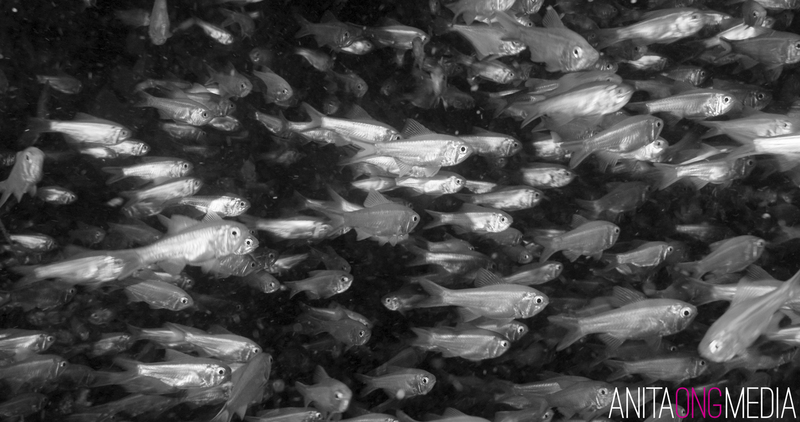 Nick yelled out as had spotted a school of Kingfish, and there was a large Bull ray darting over the sand. Plenty of soft Corals with a Feather star actually swaying into my face as I peered through a window. 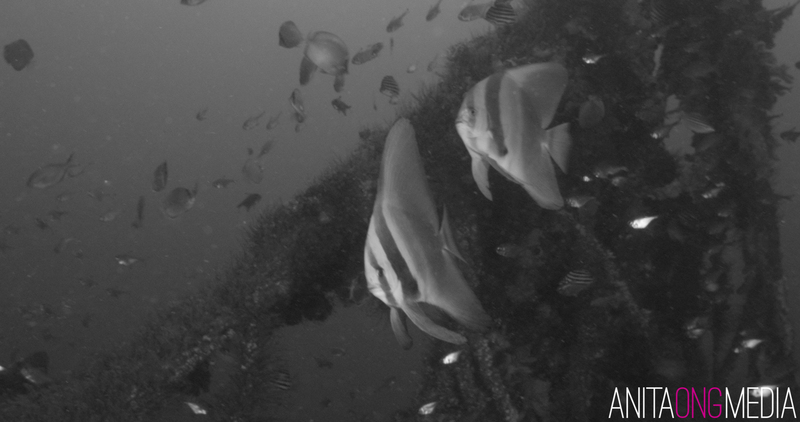 Some juvenile Batfish hung out near the mast. Two minutes to go until we had to ascend and I quickly dove down to the bottom Port side of the wreck to see if the Epirb I spotted last time was still there, but I couldn’t find it. 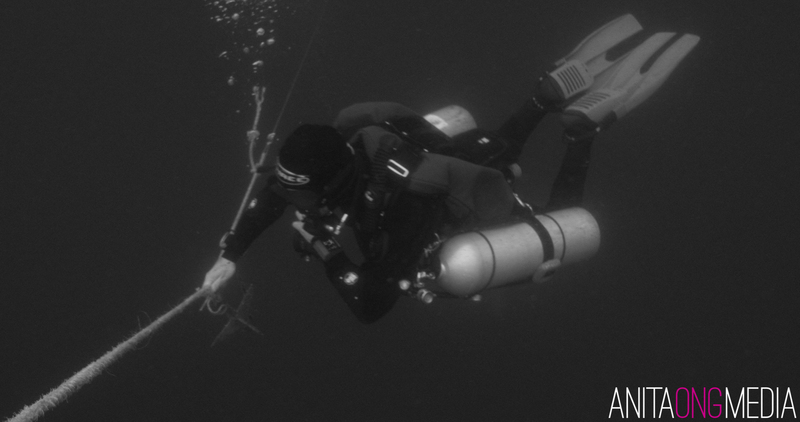 Time to ascend for our decompression stops, not without first pulling the anchor off the wreck which was easy enough. Whilst everyone was pretty warm in the water, there was a chill in the air and I was glad to be toasty in my drysuit. 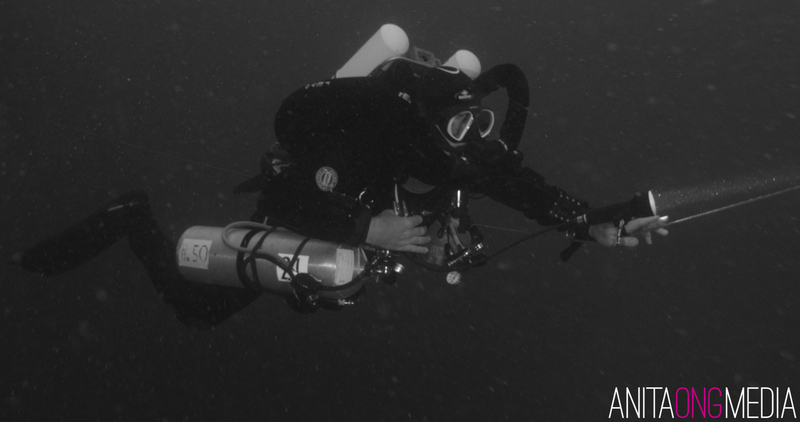 I felt really good compared to the last time I dived the wreck on air, and figured this would have to do with two reasons; that I was in a drysuit this time and warm, and that we took the descent slower. Maximum depth forty eight metres, maximum time forty five minutes and water temperature eighteen degrees on the bottom. When I got home I was eager to see the footage, finally I thought I have the shot I wanted. Ironically I was also the only photographer on the boat due to the others having camera issues. 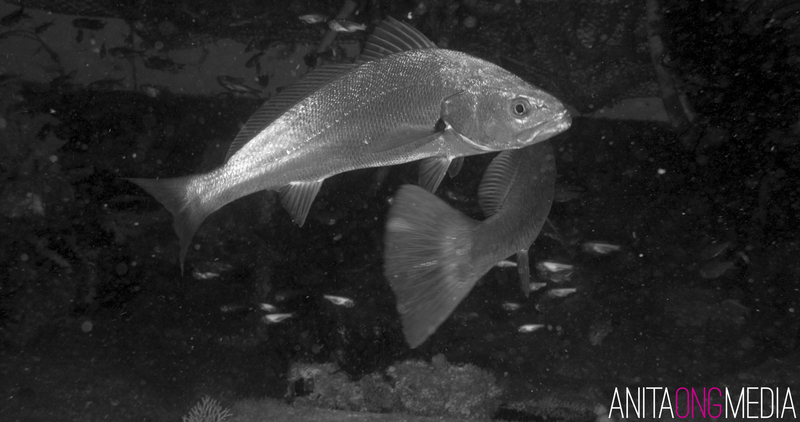 However, I realised I had filmed the whole dive in black and white. Oh dear, blonde moment. I guess that’s why you shouldn’t play around with your settings the day before a dive after you’ve done a firmware upgrade..oh well still had a wicked dive that felt great, it just means I have to book in another dive to get it all in colour! Fifth times a charm right?